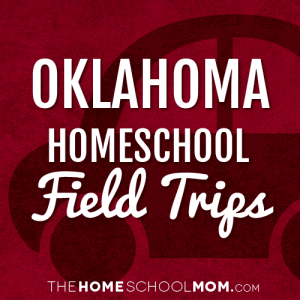 Our listing of Oklahoma field trip destinations is ordered alphabetically by city. If you would like to submit a Oklahoma field trip destination, you may do so using the red button above. Use the secondary navigation menu above to quickly make your way to pages for Oklahoma state organizations, local homeschool groups, classes, co-ops, and more. Thousands of "soddies" once dotted the prairies of Oklahoma, but only this sod house built in 1894 by Marshal McCully remains. McCully took part in the largest of Oklahoma's land runs when the Cherokee Outlet opened for settlement at noon on September 16, 1893. McCully first lived in a one-room dugout, hollowed out of a ravine bank. He built the two-room sod house in August 1894 using blocks of the thick buffalo grass blanketing Oklahoma's prairies. Although the soddy remains in its original location a cover structure now protects it from the elements. Visitors can experience the unique experience of walking through the furnished sod house to imagine what life was like for Oklahoma's early settlers. Follow the activities of Native Americans, frontier soldiers, cowboys, and homesteaders. Revisit economic development, from assurances that "rain will follow the plow," to "Dust, Drought, Depression," and beyond. Step back in time to a lakeside country inn nestled among the wooded hills of southern Oklahoma. Here, you'll find warm hospitality, charming turn-of-the-century decor and a wholesome family environment. McGee Creek State Park is THE place to stay while you fish in one of Oklahoma's best trophy lakes. Whether you stay in one of our lake huts, bring the RV, or tent, you'll enjoy the beautiful scenery and the recreational opportunities at this southeastern Oklahoma gem. The museum covers the history of the Civil War in Oklahoma as well as the history of Atoka County. From a complete baby dinosaur skeleton, the 1830s Choctaw removal, a shootout between local lawmen and Clyde Barrow, to homegrown talents 1987 World Champion Bullrider Lane Frost whose life was portrayed in the movie "8 Seconds," and international entertainer Reba McEntire, the museum is a unique and welcome stop on State Highway 69. You can almost hear echoes of the Native past through the trees. Nestled in lush rolling hills, this area was once an Osage Indian settlement. When you've settled down in the comfort of your quiet, private cabin, you'll feel as if you've truly gotten away from it all. Osage Hills State Park is the gateway to Oklahoma's Tallgrass Prairie. The Price Tower is Frank Lloyd Wright's only realized skyscraper. Wright took his inspiration for the cantilevered design from a tree. In fact, the Price Tower has been called the tree that escaped the crowded forest. This National Historic Landmark destination serves local, regional and global audiences as an arts complex dedicated to art, architecture and design. Frank Phillips, an ambitious barber-turned-bond salesman from Iowa, visited Bartlesville in 1903 to assess business possibilities in the surrounding oil fields. He returned permanently two years later with his wife, Jane, and young son, John. After a series of failures that nearly caused him to abandon the business, a string of eighty-one straight successful oil wells insured success. The Home depicts the lives, tastes, fashions, and values of the Phillips and their world. As an example of the personal home of an Oklahoma oil millionaire, it is a window through which you can step back to those times, and experience the home life of one of America's most fascinating oil men. The Bartlesville Area History Museum, a 10,000 sq. ft. facility is located on the top floor of the City Center, The community has a rich and colorful heritage with roots traced back to the Delaware, Cherokee and Osage peoples who lived in the region before the arrival of white settlers. History unfolds for visitors to the museum with interactive displays, exceptional photography and intriguing artifacts. Two of the museum's most popular attractions is a talking animated likeness of pioneer photographer, Frank Griggs and Nelson Carr One Room School experience of a typical 1900s education. The 520-acre Beaver Dunes State Park in the panhandle region offers dune buggy riding on 300 acres of sand hills, fishing, hiking trails, playground and two campgrounds. Inside the park, Hackberry Bend Campground is located next to Beaver Lake (approximately 2 acres, stocked with largemouth bass, channel cat, and perch) and has 7 water and electric sites and 10 tent sites. Also located in Hackberry Bend is a one room primitive cabin which sleeps 4 that can be reserved. Pioneer Campground is located adjacent to the ORV area. This campground has 13 water and electric sites with direct access to the dunes. Both campgrounds have a comfort station with hot showers. Dump station located at Hackberry Bend Campground. Both campgrounds have handicap accessibility. Another area of the park is Big Sandy picnic area. This area has a sand volleyball court, basketball goal, horseshoe pits, playground, nature trail, and 2 reservable shelters. One of Oklahoma's most beautiful state parks, Greenleaf features a 900-acre, sparkling blue lake, cozy native stone cabins, and a peaceful atmosphere. Oklahoma's Family Fun Park is the perfect setting for a restful, memorable vacation or weekend getaway. Beavers Bend State Park is located in the mountainous region of southeast Oklahoma along the shores of Broken Bow Lake and the Mountain Fork River. Guests traveling down the winding roads, through the forests of pine and hardwood trees will find adventure, beautiful scenery and plenty of activities inside this state park. The scenic beauty of Beavers Bend & Hochatown State Park makes it one of Oklahoma's most popular areas. Towering timbers, crystal clear waters and rugged terrain make this state park an outdoor lover's paradise. Visitors to Beavers Bend State Park will enjoy hiking, biking, boating, fishing, water skiing, nature center activities, river float trips, canoeing, horseback riding and much more. This beautiful 2200 acre state park is located on a peninsula of Lake Eufaula, which is one of the largest manmade lakes in the southwest. Arrowhead State Park features 100 tent sites and 91 total RV sites. There are 40 full hookup sites available. The park also offers picnic shelters, a marina, playgrounds, trails, miniature golf course, swimming area, mountain biking, equestrian campground, stables, and 25 miles of equestrian trails. Arrowhead Golf Course is an 18-hole course with putting green, driving range, and pro shop. Group camps with a kitchen and bunkhouses are available and can sleep up to 144 people. Area 51 Marina, which also offers a restaurant, is also located at the park in the Echo Ridge area. Lake Eufaula State Park is a true family getaway. From golf to boating, and from swimming to hiking, there is much to do at this beautiful park. Children will love the nature center's interactive displays and live critters. The Engagement at Honey Springs (called The Affair at Elk Creek by the Confederates) was the largest of more than 107 documented hostile encounters in the Indian Territory. The 1,100 acre site has six walking trails with a total of 55 interpretive signs. Washita - The site protects and interprets the setting along the Washita River where Lt. Col. George A. Custer led the 7th U.S. Cavalry on a surprise dawn attack against the Southern Cheyenne village of Peace Chief Black Kettle on November 27, 1868. The attack was an important event in the tragic clash of cultures of the Indian Wars era. Exhibits begin with "The World's Largest Curio Cabinet," home of special treasures collected from along the route. Along the way visitors see vehicles and listen to music while they experience the history and culture of each decade concerning road construction, transportation, lodging, restaurants, garages, curio shops, attractions, and other artifacts, graphics, and videos. At the end of their trip down the "Main Street of America," visitors catch their breath in the drive-in theater, viewing "The American Odyssey", narrated by Michael Wallis, an award-winning Route 66 Historian. After the film, visitors are able to stop in the "Curio" gift shop with its wide selection of signs, books, videos, clothing, toys, games and numerous other mementos of Route 66 and the Museum. Owned and operated by Southwestern Oklahoma State University. Crowder Lake University Park offers 22 acres of park grounds and 158 lake acres. Crowder Lake has been designated a Trophy Bass Lake by the Oklahoma Department of Wildlife Conservation. Nestled deep in the heart of the Osage Nation, Wah-Sha-She means "The Water People" in the Osage language. Water people will find plenty to love about Wah-Sha-She Park. Boating and fishing are popular pastimes on Hulah Lake. In the summer of 2015, a group of local volunteers began managing the Wah Sha She State Park as a sublease is approved by the U.S. Corps of Engineers. The museum houses items from Tom Mix's personal collection, providing a glimpse into the life of one of Oklahoma's most colorful figures. Tom Mix's movie career spanned 26 years from 1909 through 1935. Tom Mix's movies were famous for quick action and daredevil stunts. Tom and Tony, his horse, performed their own stunts. Tom was a superb athlete and kept himself in good physical condition. He pioneered many of the early movie stunts. No trick cameras or fake scenes were used because of the limited shooting budgets. Disney State Park is located by the flood gates of the Pensacola Dam. This park is a popular site for bass fishing and water sports, and offers picnic areas, a lighted boat ramp and tent camping sites. The facility hosts children and visitors with the highest quality educators and static exhibits to celebrate the men and women who rode the Trail, settled the area, were stationed at nearby Ft. Sill and Ft. Arbuckle, started businesses and raised families or were indigenous peoples forced to drastically alter their lifestyles due to the encroachment of the other travelers and settlers. Fort Washita was established in 1842 in the Choctaw Nation, Indian Territory, as the southwestern-most military post of the United States. The mission of the soldiers was to protect the recently immigrated Choctaw and Chickasaw Indians. At noon on September 16, 1893, 100,000 people raced into the Cherokee Outlet to claim a 160-acre homestead or a town lot. The largest of the Oklahoma land runs, the Cherokee Outlet Land Run opened six million acres to settlement. By nightfall settlers camps dotted the prairie, and buildings were springing up in the newly settled towns. Sunrise over the Gloss Mountains is a remarkable experience. The shimmering gypsum flakes look like diamonds. At sunset, it happens all over again. Hike, picnic and enjoy one of Oklahoma's geological wonders! Fort Cobb Lake is a western Oklahoma getaway for water lovers. Enjoy fishing, swimming and watersport activities. Set up your tent or RV at Fort Cobb State Park and enjoy a quiet, relaxed family atmosphere. Established in 1824, Fort Gibson served as a starting point for several military expeditions that explored the west and sought peace between the tribes in the region. It was occupied through most of the Indian Removal period then abandoned in 1857. The post was reactivated during the Civil War. The army stayed through the Reconstruction and Indian Wars periods, combating the problem of outlaws and squatters. In 1890, the army abandoned Fort Gibson for the last time. Fort Smith: Bastion of Law and Order - At Fort Smith National Historic Site you can walk where soldiers drilled, pause along the Trail of Tears, and stand where justice was served. The park includes the remains of two frontier forts and the Federal Court for the Western District of Arkansas. Judge Isaac C. Parker, known as the "hanging judge," presided over the court for 21 years. The Oklahoma Historical Society's mission at the Fort Supply Historic Site is to educate the public about the history of Fort Supply and northwest Oklahoma through the preservation and interpretation of its historic resources. Fort Towson was established in 1824 in response to a need to quell conflicts between lawless elements, Native American peoples, and settlers claiming the area as part of Arkansas Territory. The fort also served as an outpost on the border between the United States and Texas, which at that time was part of Mexico. Connected to the East by road, Fort Towson served as a gateway for settlers bound for Texas during the 1830s. Those passing through the area included Sam Houston, Davy Crockett, and Stephen F. Austin. The highlight of the 200-acre Alabaster Caverns State Park is the 1/4 mile cavern formed of alabaster, a rare form of gypsum, making it the largest natural gypsum cave in the world that is open to the public. Daily guided tours of Alabaster Cavern are available on the hour from 9am-4pm. For safety reasons, each tour has a maximum number of visitors who can be accommodated. A fee is charged for the tour. The cavern recently underwent an extensive lighting overhaul. Group tour reservations are required at least two weeks in advance. The park also features RV and other camping areas. Hiking trails, picnic areas, group shelters with electricity, grills, water, a horseshoe pit, and a volleyball court are available at the park. Wild caving is a unique adventure also available at the park.. When the Territory of Kansas was created in 1854 its boundary was set at the 37th parallel. When Texas came into the union, being a slave state, it could not extend its sovereignty over any territory north of 36 30' North. The Missouri Compromise specified that territory North of this line would be free-state territory. This situation left a narrow strip of land 34 miles wide between Kansas and Texas extending from the 100th parallel on the East to the 103rd parallel on the West, a total of 168 miles in length. At the eastern end of the area was the Cherokee Outlet and at the western end was the Territory of New Mexico. Since the area was claimed by no state, it was soon given the name of No Man's Land. Honey Creek State Park invites you to come and enjoy the wonderful recreational opportunities of Grand Lake and the attractions of nearby Grove. The museum presents the history of Oklahoma during the Territorial era from the first Land Run in 1889 until Statehood in 1907. The Oklahoma Territorial Museum through artifacts, photographs and paintings tells the story of the determined people who laid the foundation for the future state of Oklahoma. Ponder the mystery of the Heavener Runestone in the lush, beautiful valley that is the heart of Heavener Runestone State Park. The park is a perfect setting for a picnic or a hike, or to let your imagination roam. The Lighthorse were the mounted police force of the Five Civilized Tribes. At previous times Lighthorse officials had acted as sheriff, judge, jury and executioner. By the 1870s much of that power had been removed, but the job was still dangerous occasionally. Peter Conser joined the force in 1877. Papers available at the Peter Conser Home related how Choctaw lawbreakers would be told to come at the time of trial, and if convicted, would be sent home to make preparations for their punishment. They would do everything possible to be back early enough for their punishment to be carried out. Capital punishment was carried out by shooting until the lawbreaker was dead. Red Rock Canyon was once a stop on the famous California Road Trail. Now visitors can enjoy this beautiful western Oklahoma oasis without bringing the Conestoga wagon. Red Rock Canyon State Park is a great place to hike, climb, or explore. Bring the family or bring the whole wagon train! The goal of the General Tommy Franks Leadership Institute and Museum is to tell compelling stories of leadership, introduce historical topics in each exhibit, and to encourage study and debate concerning the leadership traits illustrated by the story. The Drummond family built one of the most successful trading and ranching operations in Oklahoma. As a reflection of financial success, Fred and Addie built a substantial home in Hominy. The three-story house, completed in 1905, is Victorian in style and features a central square tower, second floor balcony, and false dormers. The first floor is constructed of native sandstone while the upper floors are frame covered by painted shingles of light and dark green. Light for the house was supplied by a gas generating unit located in the basement and water from a cistern was distributed by air-pressure. Imagine waking up in your beautiful log cabin and enjoying breakfast on the deck, while you look out over the lake from your perch on a scenic bluff. It's waiting for you at Hugo Lake State Park. On a peninsula in the rolling foothills of Sequoyah State Park, this rustic Guest Ranch is a great western getaway. A flexible setting for families, reunions or conventioneers, visitors can count on finding all kinds of fun -- from fishing, golf and tennis to horseback riding and two-steppin'. Lake Eucha State Park is ideal for your family picnic or party. Swim in the pool, hike the trails, enjoy the playground. Plan a family fun day now! Great Salt Plains State Park is your gateway to one of Oklahoma's most fascinating natural wonders. The Salt Plains are literally a sea of salt. They offer outstanding birdwatching opportunities year-round. **Notice** Selenite crystal digging at the Salt Plains National Wildlife Refuge is temporarily suspended. All inquiries about crystal digging should be directed to the refuge headquarters at (580)626-4794. Black Mesa is located in Oklahoma's panhandle along the tri-state border with Colorado and New Mexico. Black Mesa takes its name from the layer of black lava rock that coated the mesa about 30 million years ago. Visitors can hike to the top of the plateau, Oklahoma's highest point at 4,973 feet above sea level, in Black Mesa Nature Preserve. The nature preserve is operated by the Oklahoma Tourism & Recreation Department in conjunction with Black Mesa State Park. The nature preserve consists of approximately 1,600 acres where visitors can hike and enjoy 23 rare plants and 8 rare animal species. The unique area marks the point where the Rocky Mountains meet the shortgrass prairie and many species are at the easternmost or westernmost point of their natural range. The Seay Mansion is a historical monument built upon dreams by Abraham Jefferson Seay in hopes that Kingfisher would be the new capitol of Oklahoma Territory (OT). Governor Seay served as second Territorial Governor of Oklahoma from 1892 to 1893, built the three-story mansion named "Horizon Hill" for approximately $11,000.00 on fifteen acres of land purchased for $637.50, just outside of Kingfisher, OT. The mansion was completed in March of 1892 to host dignitaries present for the opening of the Cheyenne and Arapaho Land Run. Once the greatest cow trail in the world, the Chisholm Trail served to get Texas cattle north to the Kansas railheads from which they were shipped to the other parts of the country. The main stem of the Chisholm Trail ran along what is now US 81. Cattle were first moved over the trail in 1867. In the ten years from 1867 to 1877, more than three million head of cattle passed through Oklahoma to Kansas. Everything is big about Lake Texoma. The lake sprawls into two states. It is the place to catch record-setting fish (catfish and small-mouth bass), plus a sprawling setting for water sports and hiking for the entire family. Texoma Lodge is closed but camping is available at Lake Texoma State Park. Quartz Mountain Resort is operated by Oklahoma State Regents for Higher Education. Enjoy the stark beauty of the Quartz Mountains, camp under the stars, or enjoy the artwork and the lovely rooms at the lodge! Relax in the shadow of the Wichita Mountains at Great Plains State Park! Camp on the lake shore, hike the nature trails, enjoy water sports, or explore the fascinating Wichita Mountains Wildlife Refuge. Lake Thunderbird State Park is so close to the city but so far away from the hustle and bustle. Camp at Lake Thunderbird State Park and enjoy the fishing, boating, hiking, and biking. Head for nearby Norman for all the excitement of this busy college town. The Fred Jones Jr. Museum of Art offers a wide range of programs for adults, children, families, students, and teachers. The Sam Noble Oklahoma Museum of Natural History features 7 galleries, interactive displays and fossils from Oklahoma and around the world. It boasts over 6 million items in twelve collection divisions and is one of the world's largest university-based natural history museums. See pictures of the museum in an extensive image gallery. Oklahoma City National Memorial honors the victims, survivors, rescuers, and all who were changed forever on April 19, 1995. The outdoor Symbolic Memorial, which consists of the following segments on 3.3 acres, can be visited: The Gates of Time: Monumental twin gates frame the moment of destruction - 9:02 - and mark the formal entrances to the Memorial. The American Banjo Museum is a $5 million, world-class 21,000 square foot facility honoring the rich history, vibrant spirit and unlimited future of the banjo. The museum contains more than 300 instruments, the largest collection on public display in the world. Examples include replicas of primitive banjos developed by African slaves in the Old South, Minstrel Age instruments from 19th century, post WWII instruments used in bluegrass, folk and world music, and museum's core collection of ornately decorated banjos made in America during the Jazz Age of the 1920's and 30s. The National Cowboy & Western Heritage Museum is America's premier institution of Western history, art and culture. Founded in 1955, the museum in Oklahoma City collects, preserves and exhibits an internationally renowned collection of Western art and artifacts while sponsoring dynamic educational programs and ground-breaking scholarly research to stimulate interest in the enduring legacy of our American West. More than 10 million visitors from around the world have sought out this unique museum to gain better understanding of the West: a region and a history that permeates our national culture. The Oklahoma City Museum of Art serves over 135,000 visitors annually from all fifty states and over thirty foreign countries and hosts special exhibitions drawn from throughout the world. The Museum boasts a collection of American and European art, including a comprehensive collection of glass sculpture by Dale Chihuly, and the region's premiere repertoire cinema, which presents the finest international, independent, and classic films. Completed in 1903 for one of Oklahoma City's truly remarkable figures, the Overholser Mansion is a glimpse back in time to the life of the man most responsible for the thriving city we know today. The three-story chateauesque home showcases original furnishings, stained glass and ornate canvas painted walls. Preserved to honor the "Spirit of the 1889'ers," the Overholser Mansion is an opportunity to discover this remarkable family at an extraordinary time in Oklahoma City's history. Recreational opportunities at Dripping Springs State Park include RV camping, tent camping, swimming, fishing, and boating. Facilities offered include group pavilions, grills, picnic areas, showers, lighted boat ramp, fishing dock, and an ADA comfort station. RV sites include electric, water, and sewer service. Dripping Springs Lake was designated as Oklahoma's first trophy bass lake. The park is adjacent to Okmulgee State Park and Okmulgee Lake. Okmulgee State Park, on beautiful Okmulgee Lake, is a wonderful place for your family outing. Fish, hike or bring your mountain bike, and enjoy the great Oklahoma outdoors. Watching the sunset over Lake Tenkiller can be magical, and there is no better place to watch it from than Cherokee Landing State Park. Whether you are boating, fishing, or camping, Cherokee Landing State Park is waiting for you. Home to the Cherokee ancestry and history research center. The center features the ancient 1700's Diligwa real world guided village tour. Learn about the Cherokee people from history in there most trying times to modern. The Heritage Center features the Trail of Tears and revolving art show exhibits. The revolving exhibit feature thousands of Cherokee and Native American art throughout the year. Come see our after removal Adams Corner Settlement. Participate in Cherokee cultural activities and maybe even take a piece of Cherokee culture home with you. Customize tour to your needs! The building that houses the Cherokee National Museum was designed by Cherokee architect and Cherokee National Historical society board member Charles Chief Boyd. The design symbolizes a traditional Cherokee dwelling, built low to the ground and illuminated at both ends by natural lighting. The museum serves five main functions; it houses the permanent Trail of Tears exhibit, temporary Exhibits, two major art shows each year, and the genealogy center. Ancient Village and Adams Corner sites with the heritage center property. The Ancient Village has been and remains the oldest enduring attraction at the Cherokee Heritage Center. This site was selected because it was the original location of the Cherokee Female Seminary. Adams Corner Rural Village is a collection of seven buildings representing Cherokee life in the 1890s before Oklahoma statehood. A self-guided tour of the rural village is part of the offerings of general admission to the Cherokee Heritage Center. George Michael Murrell was born to a prominent family in Lynchburg, Virginia, in 1808. He moved to the Athens, Tennessee, area as a young man to pursue mercantile interests with his brother, Glenmore O. Murrell, and future father-in-law, Lewis Ross. There, in 1834, George Murrell met and married Minerva Ross. Minerva was the oldest daughter of Lewis and Fannie (Holt) Ross, members of a wealthy and influential Cherokee family. Lewis was a merchant, planter, and National Treasurer of the Cherokee Nation. His brother, John, was Principal Chief of the Cherokee Nation from 1828 until his death in 1866. The goal of the Toy and Action Figure Museum is to pay tribute to designers, sculptors and toy companies,that have turned children's play things into bonafide works of art. The museum features over 10, 000 items and strives to show a behind-the-scenes look at the world of action figures. The Pawnee Bill Ranch was once the showplace of the world renowned Wild West Show entertainer, Gordon W. "Pawnee Bill" Lillie. Visitors can now tour Pawnee Bill and his wife, May's, 14 room mansion, fully furnished with their original belongings. Their dream home, completed in 1910, is filled with Lillie family memorabilia, photographs, original art work, and much more. The Ranch property also houses a museum with exhibits related to Pawnee Bill, the Wild West Shows, and the Pawnees. The five-hundred acre grounds include the original Ranch blacksmith shop, a 1903 log cabin, a large barn built in 1926 and an Indian Flower Shrine - all available for the public to tour. The museum mission is to collect, preserve, and interpret the history of the Cherokee Outlet. In the 19th Century the United States government resettled Native American tribes from all parts of the country into Indian Territory. During this removal process, part of the northern portion of what is now Oklahoma was given by treaty to the Cherokee Nation as a "perpetual outlet west..." Officially called the Cherokee Outlet, the region became known as the Cherokee Strip. The Pioneer Woman Museum was dedicated September 15, 1958, just east of the statue. The museum preserves the legacy of women from all races, creeds and nationalities who have contributed to the development of Oklahoma. The museum's education center features craft demonstrations, special exhibits, an interactive timeline and the Pioneer Woman Walk of Fame. The museum is dedicated to the enduring spirit of women - past, present, and future - who see no boundaries. Walnut Creek State Park, on beautiful Keystone Lake, is only a short distance from Tulsa, but far away from city life. The park offers one of the best equestrian trails in the Oklahoma State Park System. Take the family fishing and enjoy beautiful Lake Hudson at Snowdale State Park! Safe, wholesome fun for all ages. Located in the scenic wooded Cookson Hills of eastern Oklahoma, this park offers visitors a quiet, secluded recreation destination with camping, picnic areas, fishing and boating. Facilities include eight day-use picnic areas with tables and grills, group shelters with electricity, 23 concrete camping sites including RV sites, playgrounds and a lighted boat ramp, as well as boat and fishing docks. Electric service, water service and comfort stations with showers are all available. This park is conveniently located to area attractions and highways. Sequoyah built this one-room log cabin in 1829 shortly after moving to Oklahoma. The cabin became the property of the Oklahoma Historical Society in 1936, and the cabin was enclosed in a stone cover building as a project of the Works Progress Administration. In 1966 the Secretary of the Interior designated the site as a National Historic Landmark. Lake Keystone is the perfect place for great fishing (striper, walleye, bass and catfish), boating, water skiing and swimming. There's no better place to enjoy the lake than from beautiful Keystone State Park. Combined with the excitement of nearby Tulsa, it's an excellent way to spend the day on the water and the night on the town. All Ages - Handicap Accessible - Appointment Only - The forest is a undisturbed remnant of original crosstimbers described by Washington Irving. As one of the eastern native forest remaining type permanently preserved it has become available for study and education. Guided tours are provided by dedicated volunteers who share this treasure and its historical significance and the relationship of protecting our forests and the homes of the wildlife that relies on it. The Santa Fe National Historic Trail connects western Missouri and Santa Fe. The website offers historical information about the trail for those who cannot visit in person. Founded in 1919, the Mabee-Gerrer Museum of Art is one of the oldest museums in the state of Oklahoma. Father Gregory Gerrer, for whom the museum is named, was a Benedictine monk of considerable artistic talent. During Father Gerrer's travels to Europe, Africa and South America, he collected objects of artistic and ethnological value. The museum's permanent collections include Egyptian, Greek and Roman objects; art from the Renaissance through the early 20th century; and large holdings of Native American African/Oceanic and Eastern cultural artifacts. In addition, the museum offers exciting special exhibitions throughout the year. The park commemorates the survival of the Cherokee people and their forced removal from their homelands in the Southeastern United States in the 1840s. Prehistoric Gateway...Present-day EnigmaThe mounds site, located seven miles outside of Spiro, Oklahoma, is the only prehistoric, Native American archaeological site in Oklahoma open to the public. The mounds are one of the most important Native American sites in the nation. The prehistoric Spiro people created a sophisticated culture which influenced the entire Southeast. Artifacts indicate an extensive trade network, a highly developed religious center, and a political system, which controlled the entire region. Located within the city limits of Stilwell in northeastern Oklahoma, this 25 acre park offers seven electric and water hookups (1 handicap), and 20 primitive campsites, as well as a fishing pond, playground, comfort station with showers, covered shelters and picnic facilities. The "Peaceful Valley of Rippling Waters" appropriately describes Chickasaw National Recreation Area, known for its many mineral springs, cool water, flora, fauna, and wildlife. Here one's mind may wander back in time to when the early American Indian came to this area to rest, relax at the water's edge, and hunt for their food from the abundant wildlife. Virtual field trip onlineThe largest collection of Judaica in the American Southwest. Explore the water park from the bottom of the deepest pool to the top of the tallest slide! Find out how the ends and outs of the water park operates. At the end of the tour, visit Safari Joe's Animal Encounter and get a private animal show that allows you to get up close and personal with creatures of all kinds that live here at the park. Two field trips in one! Water park and animals! Relax on the shore of beautiful Fort Gibson Lake. Sequoyah Bay State Park offers a peaceful getaway from which to enjoy one of Oklahoma's fine fishing and boating lakes. Voted as the #1 Family Entertainment Center in the world twice, America's Incredible Pizza Company is your premier destination for home school field trips in Warr Acres, OK. The family-centered gaming style makes it easy and enjoyable for families with children of all ages to enjoy their time together. From Laser Tag to the Tiny Town, it's a true fun for the whole family experience. America's Incredible Pizza Company exists to bring families and friends together through great food and fun. Operating their business by Christian principles, delivering a positive family experience. Once a winter campground of the Cheyenne tribe, this area now is a scenic retreat set on a canyon bluff that over-looks ancient mesas. Towering cedar, buffalo grass and wild blue sage add to the beauty of this legendary setting, and to the enjoyment of the many recreational activities. The Ferguson Mansion was built in 1907. T.B. Ferguson was appointed to serve as Oklahoma's sixth territorial governor by President Theodore Roosevelt. Ferguson was governor from Novermber 1901, until January 1906, longer than any other territorial governor. Experience the thrill of riding the dunes at Little Sahara State Park! This natural wonder is a favorite destination for off-roaders. Located in Weatherford, Oklahoma , birthplace of astronaut and flight pioneer General Thomas P. Stafford , the Stafford Air & Space Museum houses an amazing collection of air and space exhibits, an interactive aviation gallery that spans the history of flight, more than 20 historic aircraft, unique space flight artifacts and more!m The Stafford Air & Space Museum also houses one of the most comprehensive exhibits in the world displaying the history of rocketry. From the giant F-1 Saturn engine down through the Gemini and Mercury space programs, Explorer, Sputnik and on to the earliest known man-made rockets, the Stafford Air & Space Museum will leave you in awe! Ever wonder "Where the Red Fern Grows"? See for yourself why this beautiful natural wonder was chosen as the setting for the delightful movie. Natural Falls State Park is perfect for a day, a weekend, or a week. Bring your horse, camp with us, and ride along the scenic bluffs. Fish to your heart's content, wake up to the view from Belle Starr View Lodge, and explore the beauty that is Robbers Cave State Park. Set in the scenic Ouachita Mountains -- amid a dramatic backdrop of dogwood, shortleaf pine and eastern red cedar trees -- this park offers sporting enthusiasts some of the finest outdoor recreational opportunities in Oklahoma. Lake Wister State Park is a relaxing and refreshing forest getaway. Boiling Springs State Park, an oasis on the plains, captures some of the finest elements of nature. In the 1930s, the Civilian Conservation Corps built the park and named it after one of the naturally-occurring springs, which is now showcased in a newly-built outdoor wooden complex. For a day trip, stroll around the recently-constructed structure and learn about Boiling Springs State Park's history, while taking in the nearby beauty, or turn your visit into an extended stay. Wildlife is one of the many awe-inspiring features of the 820 acre park. Various species of animals dominate the area, including whitetail deer, wild turkeys, raccoons, coyotes, bobcats, beavers, badgers, rabbits, skunks, and opossums. The Plains Indians & Pioneers Museum is the designated tourism information center for Woodward committed to collecting, preserving, and interpreting the history of Northwest Oklahoma.